We presented a summary of the recent Workshop on Information-Centric Fog Computing (ICFC) at IFIP Networking 2017, which featured a few papers on ICN edge computing in IoT and on Named Function Networking, one specific approach to marry access to static data and dynamic computing in ICN. 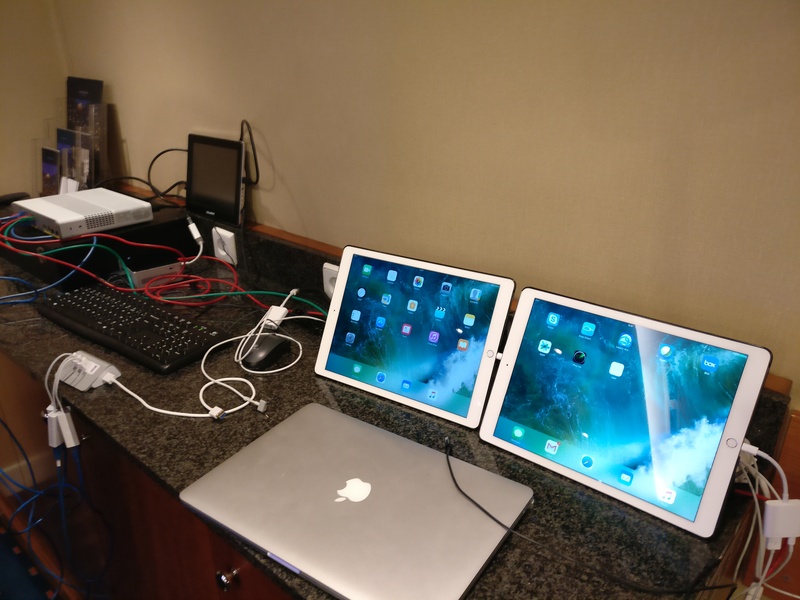 Light-Speed Networking (LSN): Refactoring the Wireless Network Stack to Dramatically reduce Information Response Time (U. Massachusetts-Amherst, U. Wisconsin-Madison). Lixia Zhang presented an overview of the first project on Augmented Reality and described how the project conceives AR as one of several applications that can leverage a web of browsable named data, based on decentralized multiparty context-content exchange. Finally, Yiannis Psaras presented his paper on Keyword-Based Mobile Application Sharing through Information-Centric Connectivity that won the Best Paper Award at ACM MobiArch 2016. In this paper, the authors describe a cloud-independent content and application sharing platform based on ICN. 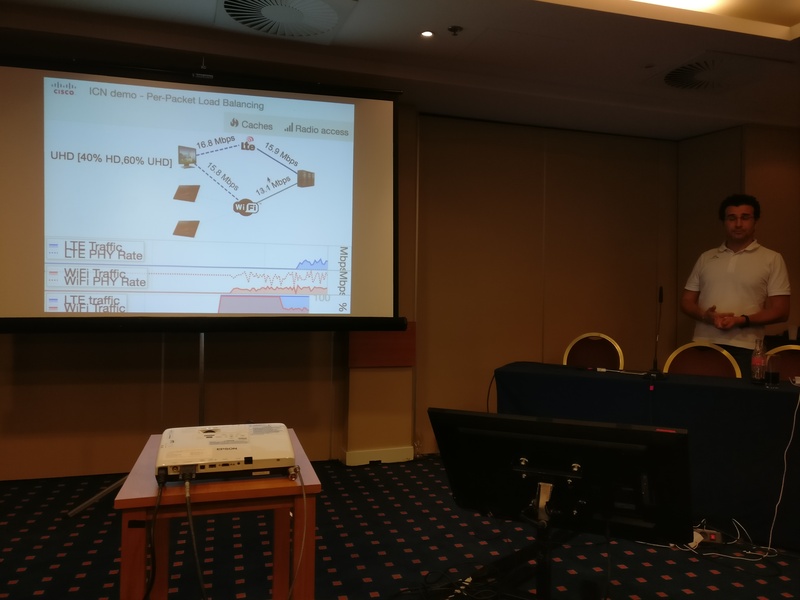 Luca Muscariello and Marcel Enguehard presented an overview of the Community ICN (CICN) activity in the Linux Foundation fd.io project and showed a demo of the software and their emulation environment. CICN consists of several Open Source ICN implementations, including an efficient VPP-based forwarder implementations. Cisco made this software available after acquiring PARC’s implementation earlier this year. The fd.io CICN implementations are based on these specifications (that are intended to be published as Experimental RFCs). ICNRG also started the Last Call for an Internet Draft on Research Directions for Using ICN in Disaster Scenarios that is intended to be published as an Informal RFC. There are a few additional documents that are nearing completion — see our Wiki for more information. There a few exciting events around ICN taking place this summer/fall. Moreover, ICNRG plans to meet at IETF-100, most likely on Sunday, November 11 and during the following week. If you are working on ICN Security, there a current Call For Papers for an IEEE Communications Magazine Feature Topic on Information-Centric Networking Security.